Trócaire’s new executive director has expressed deep concern over the situation in Syria. Éamonn Meehan recently returned from a visit to Lebanon where he met Syrian refugees who had fled the across the border from the conflict in their homeland. “I was particularly moved by the elderly. They have seen their homes destroyed and have lost relatives. They have no hope for the future. Now they are living in camps with no water, heating or lighting,” he explained. Éamonn Meehan was appointed Executive Director of Trócaire earlier this week, replacing Justin Kilcullen who will retires in October. Mr Meehan said the reasons for the conflict in Syria were complex and as a result it was hard to get people to financially contribute and support efforts to alleviate the crisis. “But it is an issue of human suffering,” he said. The refugee crisis in Syria is the biggest one since the Rwandan crisis of 1994, with two million people displaced, and 6,000 refugees crossing the border each day to Lebanon, Turkey, Jordan and Iraq. Trócaire has raised around €150,000 in the last four weeks, but Mr Meehan said he was hoping to bring in €1 million in the coming months. “Then we could do something substantial to help,” he added. He said his priority as Executive Director would be to retain Trócaire’s good reputation as an overseas development agency and to build upon it. In addition he wants the organisation to clearly communicate to the Church and wider Irish community, “the impact that Trócaire’s work is having”. People are not always in a position to give, but he is hoping that through parishes in particular, the wider Catholic community can become more involved in the work of the charity, and not just during Lent, with parish Justice and Peace groups, for example, hooking up with the organisation. 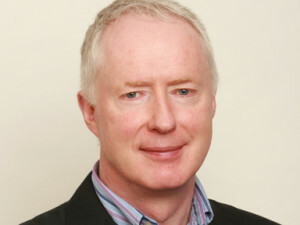 Éamonn Meehan was Trócaire’s Deputy Director from 2002 until his appointment as Executive Director. He joined the agency in in 1991 as Programme Manager for the Southern Africa Region. Trócaire employs almost 400 staff worldwide, of whom 145 are located in its offices in Maynooth, Belfast, Cork and Dublin.